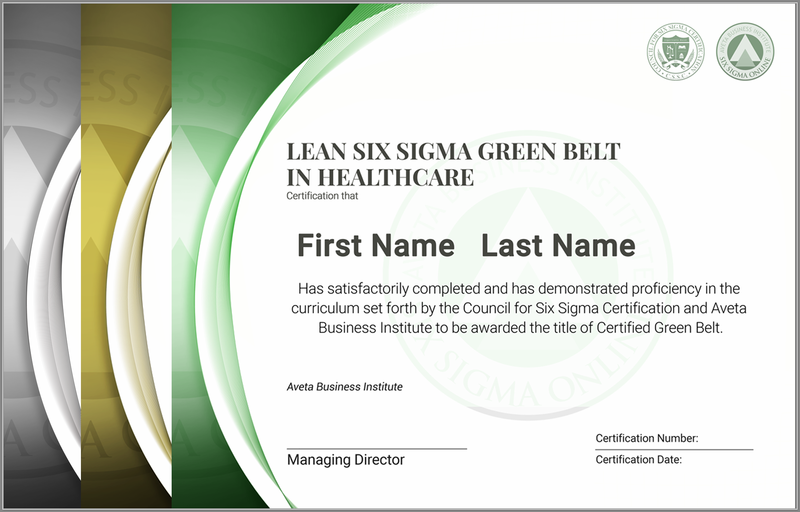 What is Lean Six Sigma Green Belt Certification in Healthcare? 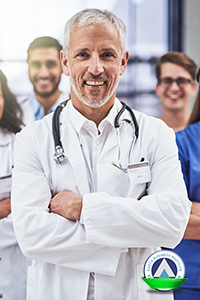 During your Lean Six Sigma Green Belt Training and Certification in Healthcare experience, our “second to none” Service Specialists are on hand to ensure that your online experience with us is exceptional. 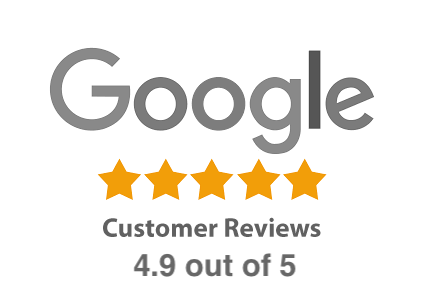 Whether we are ensuring that your account is accessible to you at all times or you simply have a question in regards to your Lean Six Sigma certification, rest assured that our Customer Care Team will enable you to get the most out of your online training. Lean Six Sigma White Belt training is an ideal beginner level for those simply looking to understand the basics of Lean Six Sigma. It works best for employees who are unfamiliar with Lean Six Sigma and want to learn more about the methodology and how it can impact an organization. For a limited time, we are providing free White Belt training and allowing the public to obtain an official Lean Six Sigma White Belt Certification at no cost. As this service is being provided at no cost, please understand that we do not provide instructor or technical support for the Lean Six Sigma White Belt training and certification. This “Lean Six Sigma” Certification is also available in a “Six Sigma” version. Our Lean Yellow Belt course teaches the relationships between improving quality processes and an organization’s profitability. A certified Lean Six Sigma Yellow Belt has received introductory training in the fundamentals of Six Sigma. In this training and certification program, you will be trained to identify, monitor and control profit-eating practices within your own processes. You will also be prepared to feed such information to the Black Belts and Green Belts working on larger scale projects. This “Lean Six Sigma” Certification is also available in a “Six Sigma” version. Lean Green Belt training is ideal for anyone looking to get the most out of their career. Improving the quality of processes and experiences has long been effective within all industries and environments. Employees trained in Six Sigma effectively improve customer satisfaction and consistently increase profitability. Much of a Green Belt Certified individuals responsibilities are to manage small scale project while also supporting Black Belts in larger endeavors. This “Lean Six Sigma” Certification is also available in a “Six Sigma” version. This course trains and certifies those who will lead Six Sigma efforts within the organization. A Lean Six Sigma Black Belt Certification will drastically improve your employment opportunities. It not only certifies your knowledge of Six Sigma, but also your qualifications to lead efforts within the organization. A certified Black Belt exhibits leadership qualities, understands team dynamics, and assigns all team members with roles and responsibilities. In this role, Black Belts also coach, develop, and advise the management and the employees to achieve common goals. This “Lean Six Sigma” Certification is also available in a “Six Sigma” version. This is an advanced level program that requires successful completion of our Lean Black Belt Certification Program and several project requirements. For those seeking this achievement, please refer to the bottom of our Lean Black Belt Certification page. This “Lean Six Sigma” Certification is also available in a “Six Sigma” version. 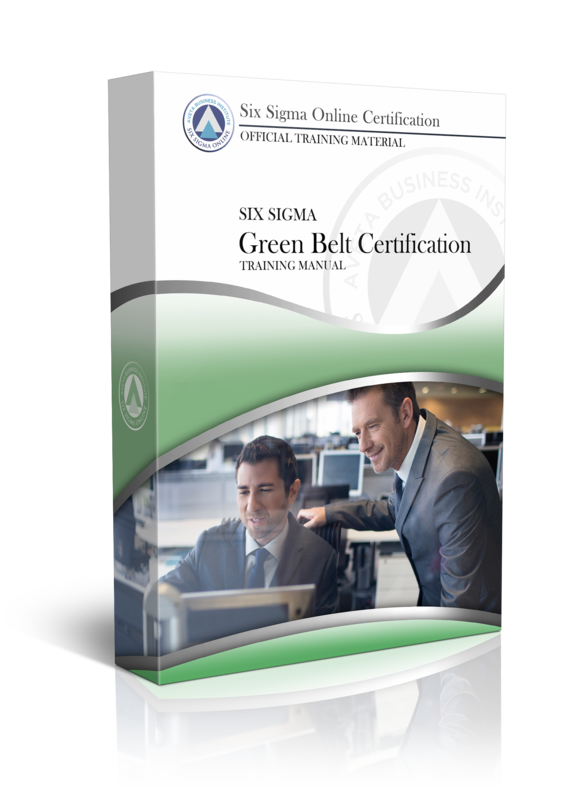 For those interested in pursuing a more comprehensive Six Sigma certification, the Six Sigma Green Belt is a great place to start. A Green Belt Certification will prepare you to work on Six Sigma projects within your organization with a fundamental understanding of all Six Sigma concepts and a focus on data collection and analysis. Our Six Sigma Green Belt training program includes certification at the White Belt, Yellow Belt, and Green Belt levels, and serves as a stepping stone for potential upgrades to a Green Belt Level II. 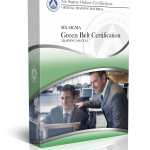 There are no prerequisites for our standard Six Sigma Green Belt Certification Program. However, this certification is a prerequisite for any individual wishing to continue on to our Level II Green Belt Certification, which does have a required project component. Individuals must successfully complete each of the 24 self-paced Certification Exams with a minimum minimum score of 70% on each individual exam. Each exam is approximately 10-15 questions. As illustrated above, the Six Sigma Green Belt Certification exam consists of 24 separate chapter exams (between 10-15 questions each). The Green Belt has two primary tasks: first, to help successfully deploy Six Sigma techniques, and second, to lead small-scale improvement projects within their respective areas. As a support population, Green Belts can do much of the legwork in gathering data and executing experiments in support of a Black Belt project. They are practitioners that spend approximately 25% of their time on Six Sigma projects of their own or in support of Black Belt projects. During the Six Sigma Green Belt Training you will learn how to use many of the Six Sigma problem-solving methods and statistical tools to contribute to the success of your organization. Enroll now in the Lean Green Belt Course to obtain our industry-low pricing. The Green Belt course includes the following certifications: White Belt, Yellow Belt and Green Belt. The enrollment fee covers all testing and your certification.